We know that coming to the dentist is not everyone’s favorite activity. We also know that teeth and a great smile are a worthwhile investment, but paying for dentistry is not everyone’s favorite activity either. That’s why we’ve made it even easier for our existing and future patients. 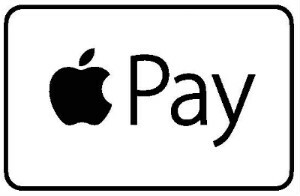 We’re the first dental office in Orange to publicly announce we accept Apple Pay! For our patients who have an iPhone 6, or who are thinking about an upgrade to an iPhone 6, you can use Apple Pay at our office. While Apple Pay is still relatively new, for our patients who do utilize it, we’ve found it to be very convenient. Why do we mention this? We do it to emphasize our commitment to adopting and using modern technology in all aspects of our dental practice. Since being one of the first offices to implement digital x-rays, to allowing our patients to receive appointment reminders via text, to even offering gluten free dentistry, we are constantly evaluating ways to make your experiences as pleasant as possible. Have an idea for us? Want to make an appointment? Call us (203) 799 – 2929 or visit this page. We are proud to say that we were the first dentist office in Connecticut to announce through social media our suite of gluten free dental services. Since doing that, we’ve had the privilege of treating dozens of patients with either celiac disease or gluten sensitivity. Some of you have driven over an hour to see us! We guarantee a gluten free filling! While most patients come in for just routine cleanings and exams, some of our celiac patients need actual dental treatment. These include fillings, crowns, dentures, and more. For these types of procedures, there are often times nearly ten different gluten free products we must use to ensure a safe visit. We thought we would review the most common procedure, and that is a gluten free dental filling. What goes into a gluten free dental filling? Topical Anesthetic – this is the flavored jelly used to numb inside the mouth before the injection. Most brands contain gluten. 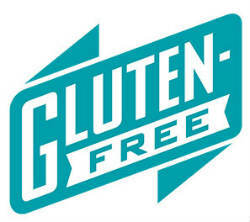 So we stock several gluten free flavors. Local Anesthetic – Fortunately, there is no gluten in traditional dental local anesthetic (at least based on our research). Pulp Cap – a pulp cap is a special material placed in especially deep fillings. Acid Etch – this material is used by dentists to clean and prepare the tooth surface prior to placing a filling. Bonding Agent – this material is used to create a bond between the tooth and filling. Composite Filling – this is the actual white material that goes into filling. Some brands contain gluten. Ours does not. In addition, we have never used any BPA-containing material (that is the subject of another blog post) in our office. Never. Polishing Paste – this is used to polish the filling to give it a smooth and lifelike appearance. With the exception of local anesthetic, all of the above products can potentially contain gluten. So, if you have celiac disease and you need a filling, you could very easily be exposed six different times over the course of your visit! This patient went from a broken silver amalgam to a certified gluten free filling! Just the way many dental offices have been able to provide mercury free fillings, we are at the forefront of providing dental services free of gluten. If you would like to schedule a visit, call us at (203) 799 – 2929 or visit this page.